I’ve always loved miniatures. When I was young, my mom bought me this tiny set of cartoon characters. She said I played with them for hours and hours. This is when my love of them began. 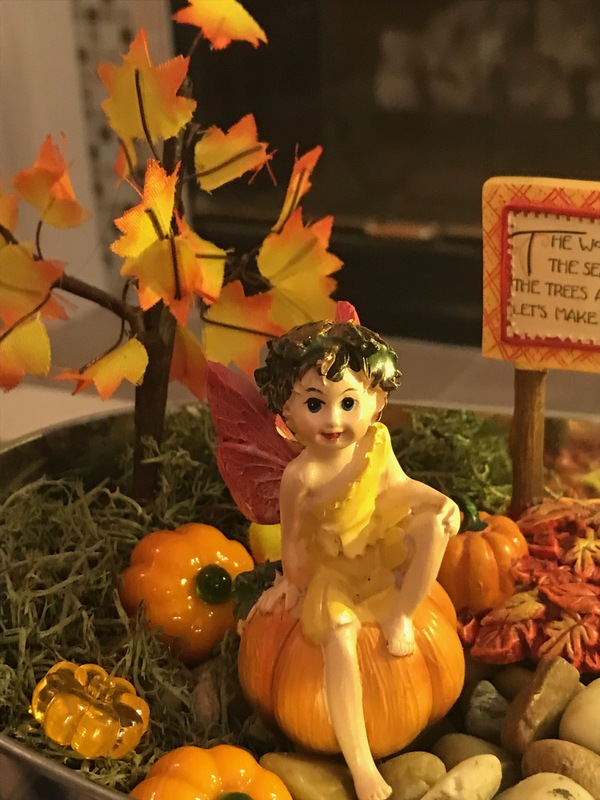 As an adult, I love to use them to create little fairy gardens and vignettes. 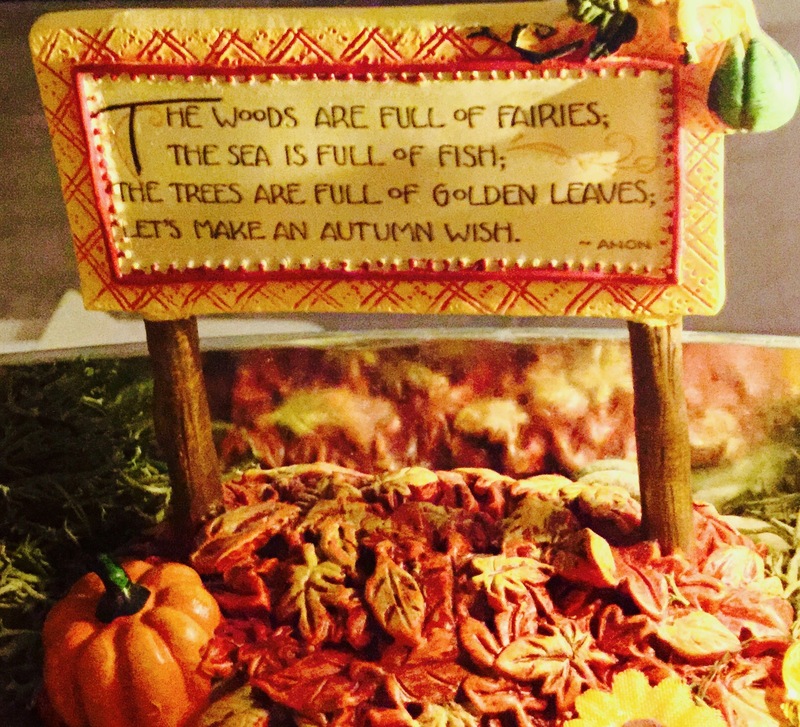 The woods are full of fairies; the sea is full of fish; the trees are full of golden leaves; let’s make an autumn wish. The next vignette, has a fall scene from the Hundred Acre Wood. I really enjoy changing out elements of this for the different seasons/holidays. 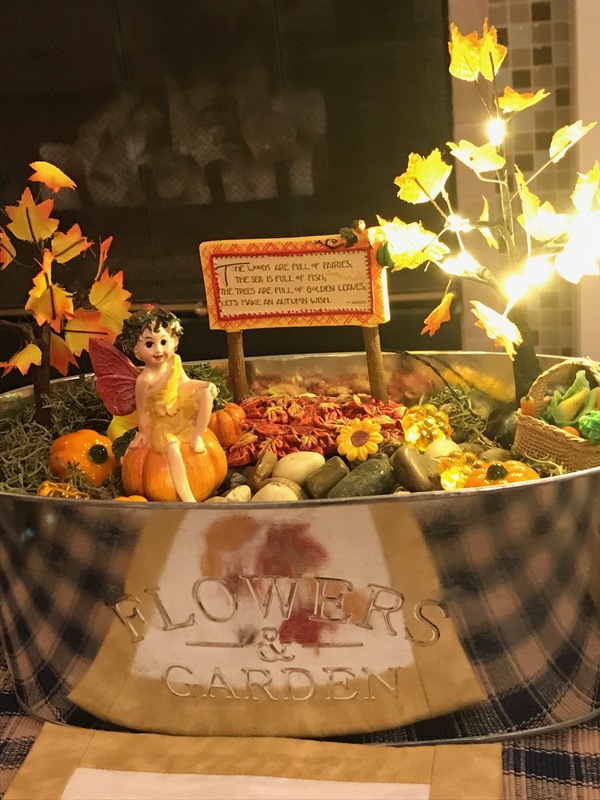 For the fall, Winnie has a whimsical pumpkin house with a stone path leading to it. Pumpkins and jack-o-lanterns complete the scene. The little white picket fence was painted by my mom. This vignette lives in my hallway. A quote from Winnie, “If you live to be a hundred, I want to be a hundred minus one day, so I never have to live without you,” hangs above. (shop sources listed below). Cinderella goes to the ball. Live like there’s no midnight. Fairy Sign-Mary Engelbreit Shop Online.